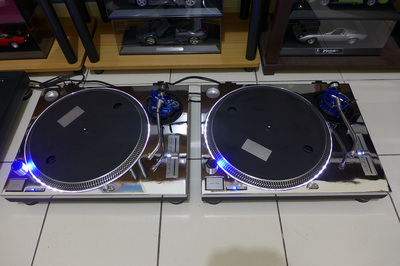 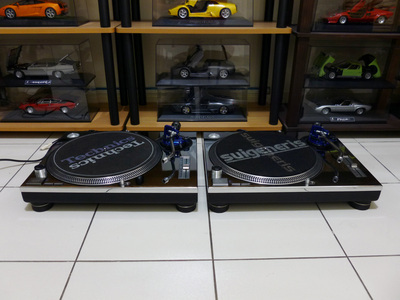 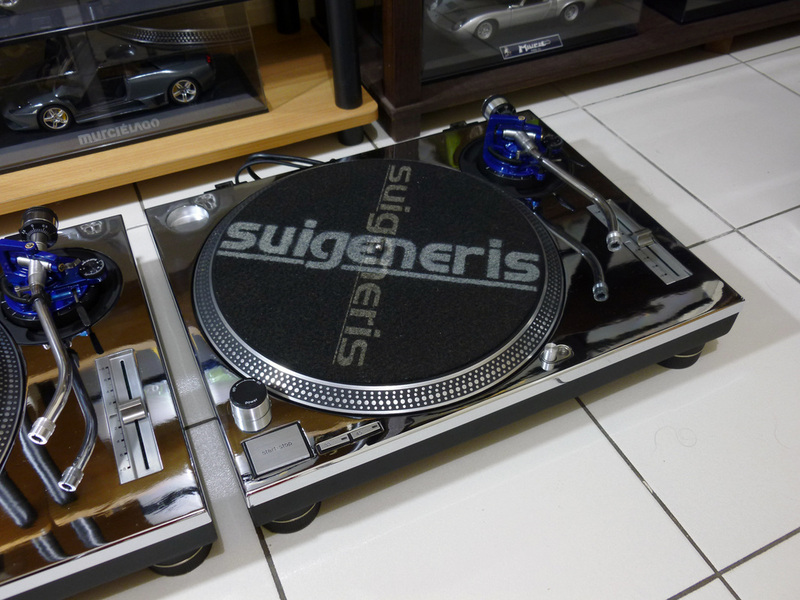 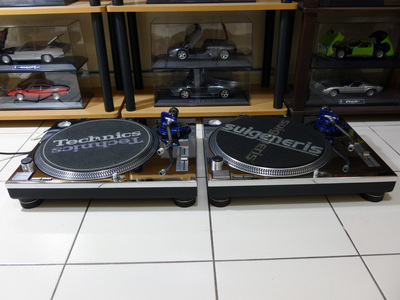 Suigeneris owner Frankie Cortez had asked me to custom his pair of beat-up SL1200 to match his set of Pioneer DJM900 platinum and CDJ-2000 platinum edition. 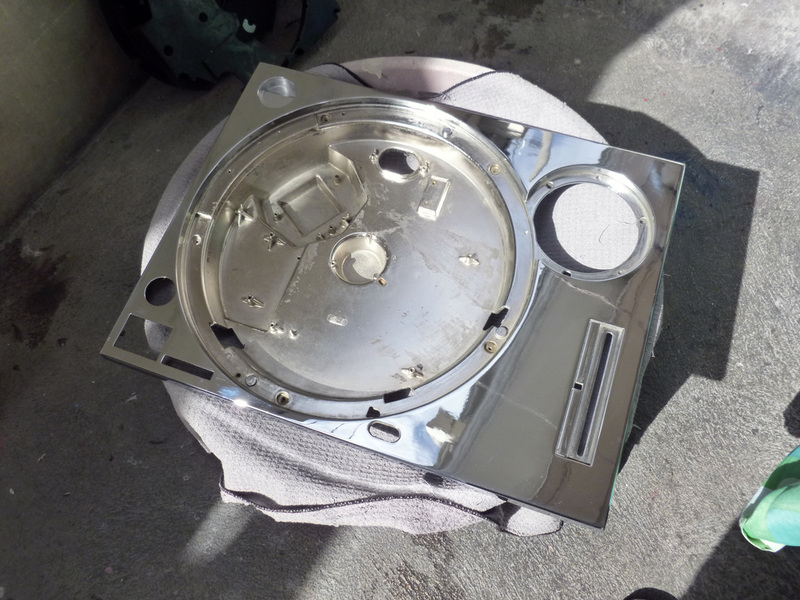 So I had the main diecast frame cabinets chromed plated. 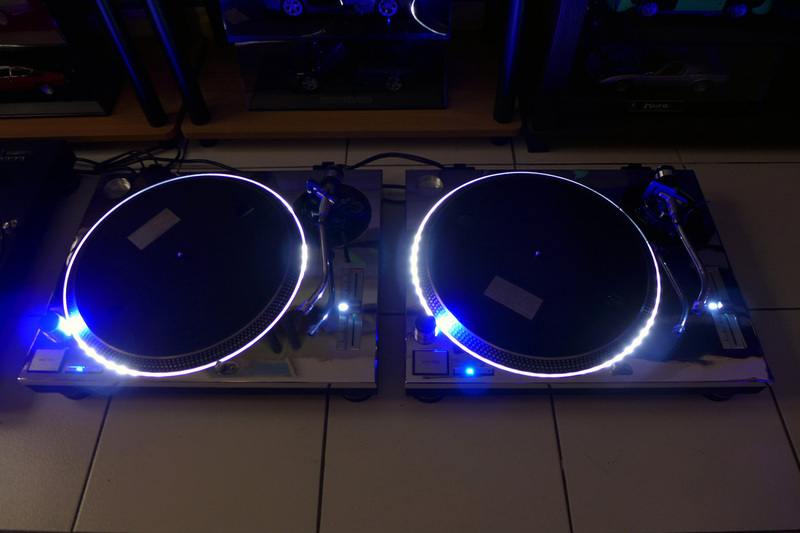 Repainted and refaced the platters. 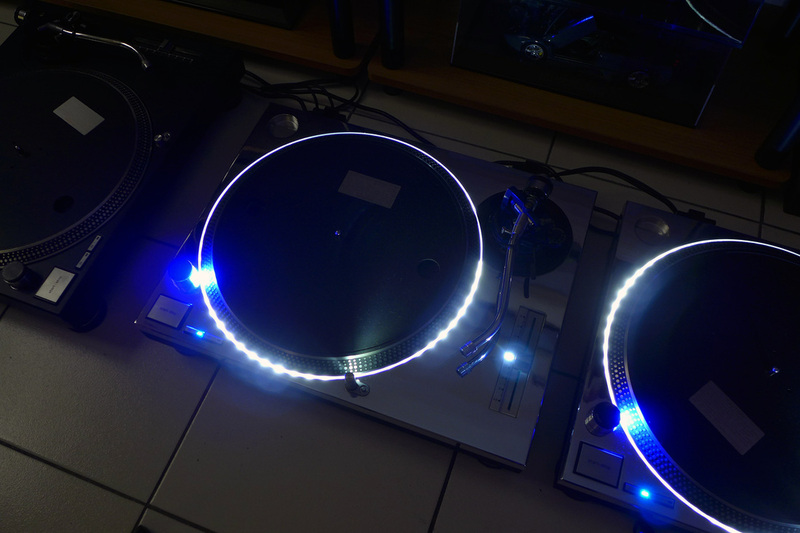 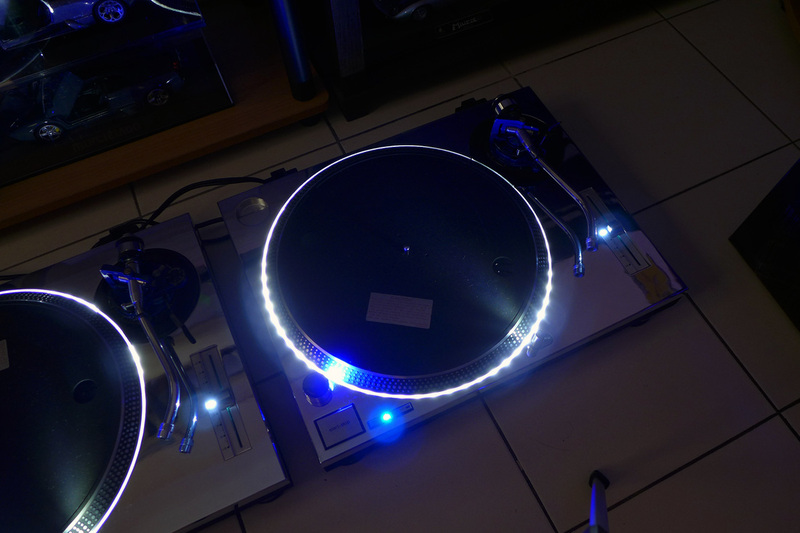 Replaced all the LEDs to a combination of bright blue (strobe, 33/45) and bright white (pop-up lamp, pitch indicator). 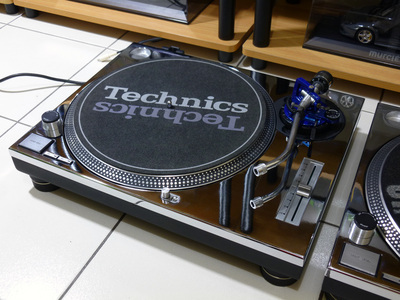 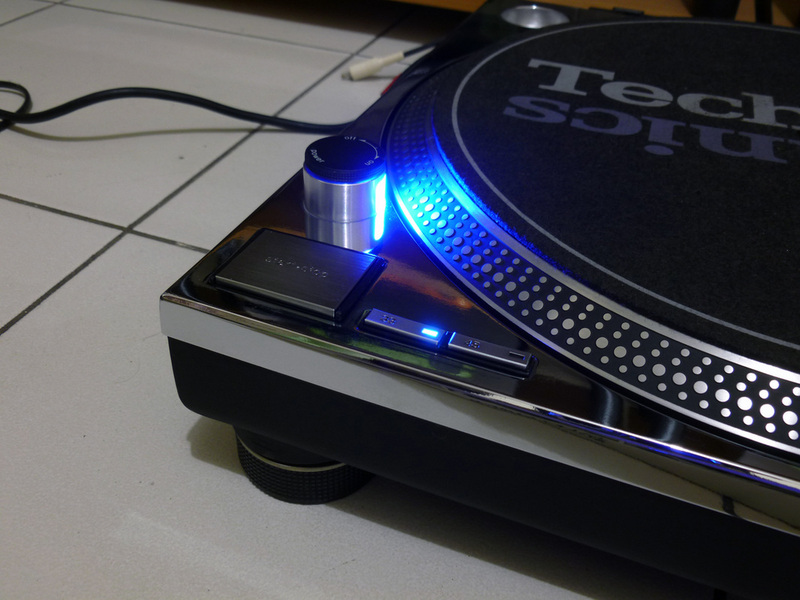 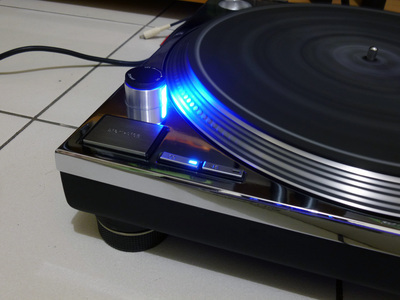 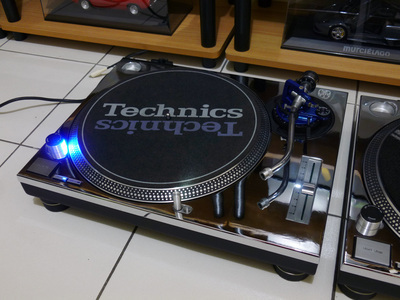 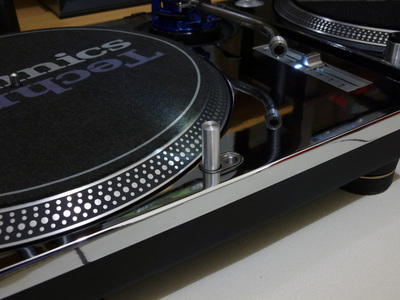 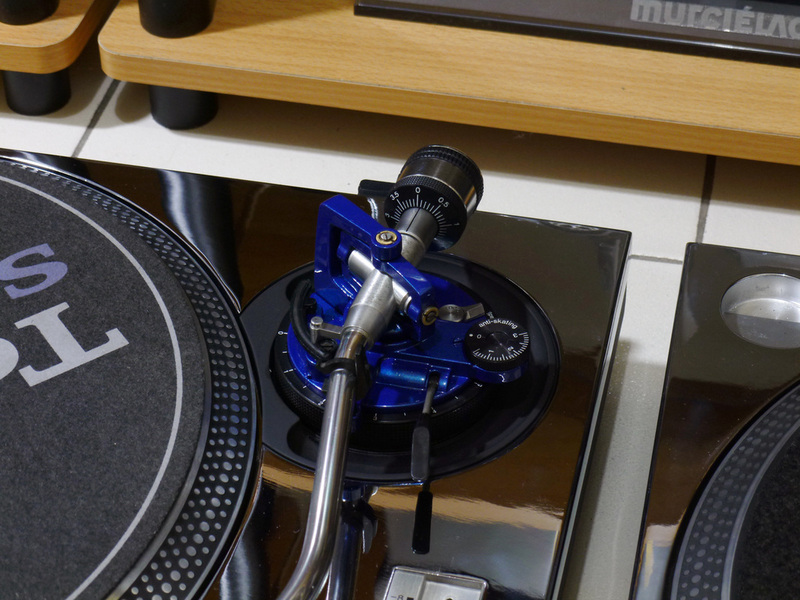 I also replaced the broken tonearm clips, pitch controls, aluminum pitch decal ornaments and installed new original Technics RCA cable and connector set. 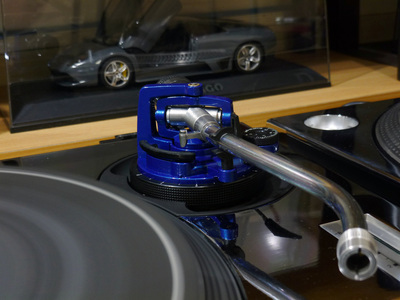 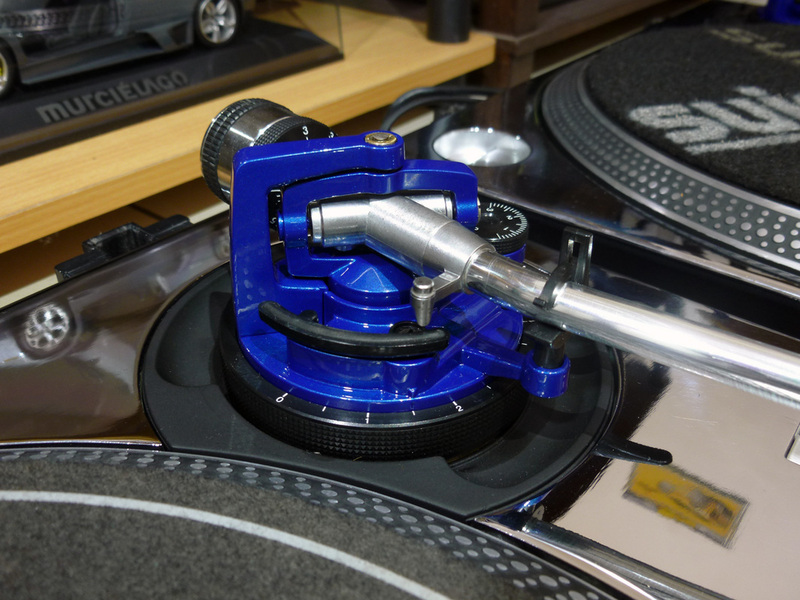 The tonearm base, bridge and swivel sections have been repainted to blue metallic. Rubber base cabinet were also repainted to matte black. Lastly, both units were installed with under-platter illumination (halo).